The global apparel industry is a $1.7 trillion business that employs several million people worldwide. It’s a giant that provides the basics and the aspirational. But in the last decade especially, whether from complaints about waste due to “throwaway” fast fashion or concern for Mother Earth, companies began taking their roles as partners in sustainability very seriously. While no one claims the job of going totally green is complete, there is a sense that apparel manufacturers are making strides in closing the sustainability loop. Timo Rissanen, assistant professor of Fashion Design and Sustainability at Parsons The New School for Design, says he’s seen a dramatic change since he started his PhD in 2004. “The fact that we can now engage in conversations about a circular economy rather than a growth-based one is a considerable shift in the mindset,” Rissanen says. Rissanen points out that even fast fashion players have switched gears and made eco-conscious strides in the last decade. This makes sense as consumer concern for socially responsible causes has risen. 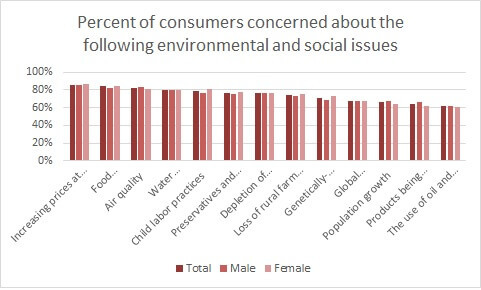 While the top issues at retail are increasing prices (86 percent) and food safety (84 percent), 82 percent of consumers worry about air quality, followed by water quality/scarcity (80 percent), and child labor practices (79 percent), according to the Cotton Incorporated 2014 Environment Survey. In the vein of environmental concerns, nearly 7 of 10 consumers (69 percent) would be bothered if they found out an item they purchased was not environmentally friendly, according to the Environment Survey data. And 39 percent would blame the manufacturer, followed by the brand (15 percent) and then themselves (12 percent). Meanwhile, earlier this year Walmart introduced its online Sustainability Leaders Shop. 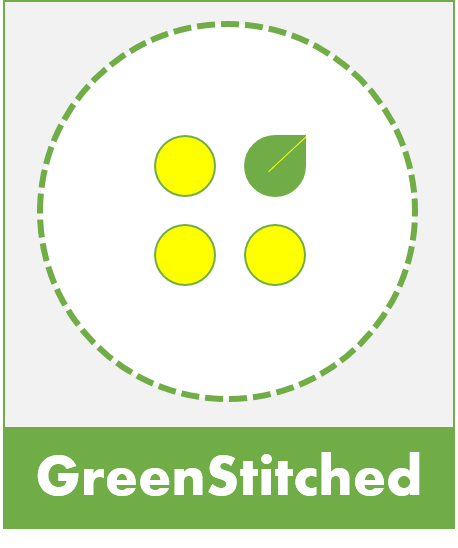 Using data provided by The Sustainability Consortium, for which it was a founding member (Cotton Incorporated is a Tier 1 member), Walmart is promoting nearly 3,000 items from more than 100 companies labeled as “Made by a Sustainability Leader.” These badges aim to make it easier for customers who are looking for both affordable and sustainable products by identifying those that score best in class in Walmart’s Sustainability Index, which measures efficiency, waste and social and environmental impacts across each product’s supply chain. In the U.S., consumers look to manufacturers and retailers to help them when it comes to making greener choices. For example, the Environment Survey shows nearly half of all consumers (49 percent) plan to purchase apparel or textile products in the coming year that are labeled as “environmentally friendly,” as well as “sustainable” (43 percent) and “recycled” (38 percent). Juan Diego Gerscovich, co-founder of Industry of All Nations (IOAN), a Los Angeles-based brand, says it’s fair that consumers would hold companies responsible, as well as look to them for help in making responsible purchases. When it comes to terms that are influential to consumers’ apparel purchases, more than three in four consumers (77 percent) say the claim of 100 percent cotton is most influential, followed by Made in the USA (68 percent), natural (61 percent), and sustainable (57 percent), according to the Environment Survey. As companies “do good,” they increase the goodwill shoppers have toward them. A Nielsen study showed more than half (52 percent) of all shoppers check product packaging to ensure its sustainable impact. And 52 percent have purchased at least one product or service in the previous six months from a socially responsible company. Rissanen says the industry itself has helped make it easier for companies to do the right thing. Rissanen says the recycling of post-industrial and post-consumer wastes by companies such as Pure Waste Textiles in Finland and Recover in Spain is very promising. 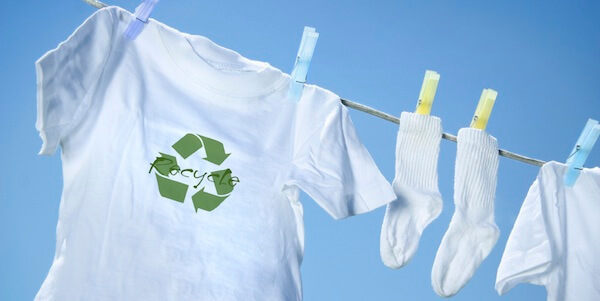 Cotton Incorporated also has a program aimed at giving recycled cotton a new life. It’s Blue Jeans Go Green denim recycling program collects used jeans and recycles them into UltraTouch Denim Insulation, a portion of which is distributed each year to communities in need. So far, more than 600 tons of denim has been diverted from U.S. landfills and over 1,000 homes have been insulated. The program’s partners have included American Eagle Outfitters, Abercrombie & Fitch, J. Crew, Neiman Marcus, and Madewell. Gerscovich maintains that social and environmental sustainability equals a sustainable economy. This entry was posted in Brands and tagged Circular Economy, Cotton Incorporated, LifeStyle Monitor, Parsons, Sourcing Journal.